We’re a group of high energy, fun loving, sports enthusiasts dedicated to helping pancreatic cancer victims and their families. we possibly can with what we are given. serving in ways other non-profits don’t. Pants Off Racing is a community. A place where you can find support at a personal level. Join us for a race or just come be part of the community at one of our many social events. We are connected to many organizations and look for the best ways to assist those who are referred to Pants Off Racing. 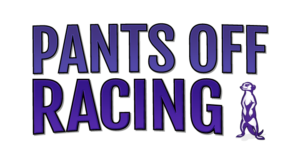 Pants Off Racing is excited to share the stories of their people and outreach. Our Team believes in making an impact in the community and making situations better for others.